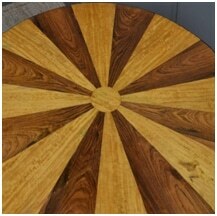 Antique furniture was often constructed using different cuts of Veneer for decoration onto a solid carcass. Below are the different types of veneers used by the skilled cabinet makers over the last 400 years. A curl veneer is obtained by cutting from the fork of the tree where the trunk divides. 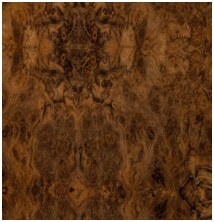 It gives a feathering effect, in woods such as mahogany it was highly sought after for drawer fronts and tops. 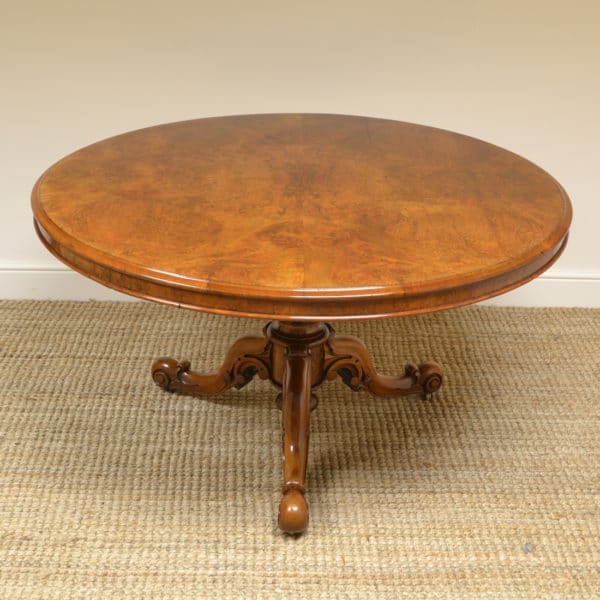 Mahogany curl veneer was particular popular during the 18th and 19th centuries. The burr is found on the side of the tree trunk where numerous growths have occurred. Often found near the bottom of the tree, they are sometimes known as burr clusters. It is usually only available in small sections. 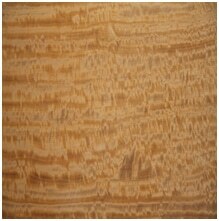 This type of veneer was popular in the making of quarter veneered tops and bookmatched ends. 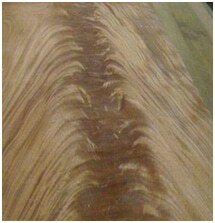 Various theories abound as to why some veneers are more figured than others, but it is this variety that creates uniqueness. The oyster veneer, which is obtained by slicing through the branch to give distinctive rings, was popular during the 17th and early 18th centuries from woods such as olive and walnut. 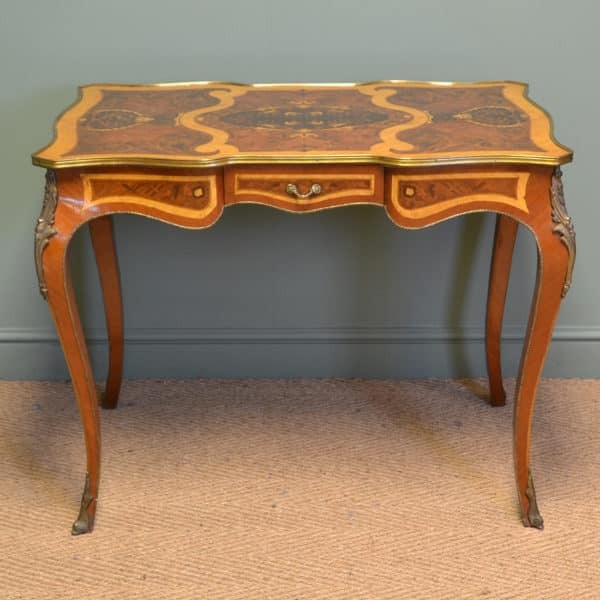 It was usually then enhanced with geometric lines inlays of box or holly. 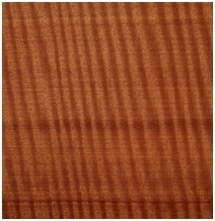 This prized veneer was used in the manufacture of violins, hence its name. It has a distinctive stripe, which usually runs at right angles to the grain. 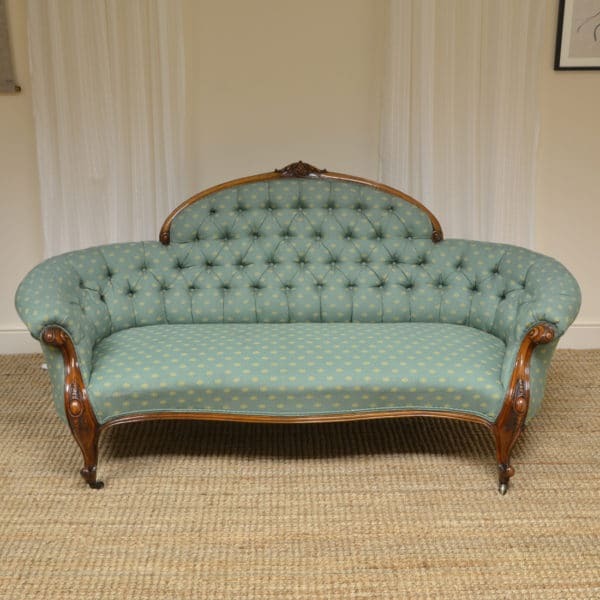 It was favoured during the 18th century with mahogany and stained sycamore. A Segmented Veneer was a selection of the finest figured cuts of wood, in triangular shapes and joined together giving a sunburst effect. 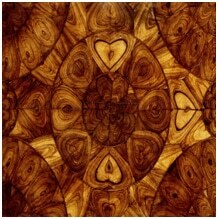 This was used by 19th century cabinet makers, sometimes using alternate woods giving a vibrant decoration.